Parts-Wise B.V is specialized in offering ALL Porsche (when available) parts online in an easy way. We initially started with the 356 model but this quickly evolved into all other models as well. Our goal is to have you search and order parts in a few minutes without the doubt of having ordered the correct part. 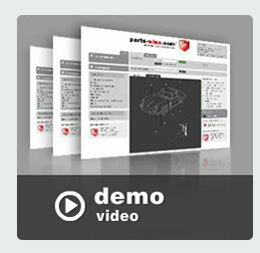 Our sophisticated and refined searchsystem will make the difference as well as the exploded view illustrations where you can visually check if you have the correct part for your car. You can get into your "own" section in several ways where you will only be presented with parts that fit your car. Doubts are deleted this way. Next to all original parts we also supply reproduction parts but also used and revised parts. All sorted via the original Porsche partnumbers. Next to that, we are competitively priced. We aim for a range of products that is as wide as possible, but because we supply 140.000 parts, it is impossible to have everything in stock. That is why we have very good connections with our international suppliers who are usually able to supply us within 1 or 2 days. When we have the parts in stock, we prefer to ship the same day to our customers. But you have take into account a deliverytime of 2-3 days after ordering. Parts-Wise was founded by Michael Siemerink (Siemerink Classic Porsche Services) and together with Camiel Hiel a sophisticated parts webshop was created with love for and experience with Porsche that goes back to 1967. Since 2014 Michael Siemerink has returned to fully focus on his restoration activities and is no longer involved in Parts-wise BV. Peter Brondijk, Martijn Bart complete the team. Siemerink Classic Porsche Services is a 3rd generation familiy company that started in 1945. Since 1967 we work on Porsches and since the end of the seventies we are a specialist in the restauration of classic Porsches and the sales of Porsche parts. Our site is available for private persons but also for restauration- and maintenance companies and Porsche car dealerships. When you interested for your professional business, please contact us. We mainly are an internet company but we have a location where you can pick up parts and ask questions. In the case you come to pick up a part, please let us know in advance. New aftermarket, remanufactured and original Porsche parts with warranty and good service. 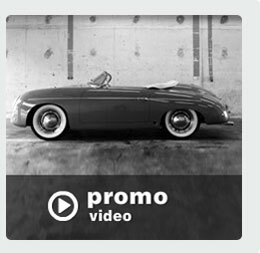 Everything for the restoration of your classic Porsche or repair of your new Porsche. We also supply raceparts for your classic Porsche. We sell any available Porsche part. Click here for shipping costs, transit times and Track&Trace for your order.